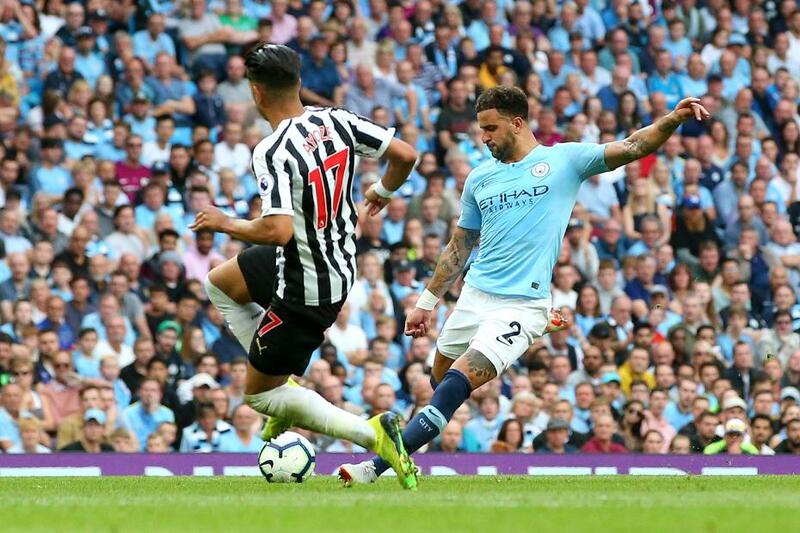 Raheem Sterling's opener and a thunderbolt of a strike from Kyle Walker gave Manchester City a 2-1 win over Newcastle United at the Etihad Stadium. Sterling opened the scoring eight minutes into his 100th Premier League appearance for City, cutting inside and curling wonderfully past Martin Dubravka. Newcastle were level on the half-hour mark as DeAndre Yedlin arrived to convert Salomon Rondon's cross from six yards. Walker's first City goal was worth the wait, a powerful effort from distance that found the bottom left corner seven minutes into the second half. The three points move City to third, two points behind leaders Liverpool. Newcastle remain 18th with one point.